Canadian developer Kerberos have made an uncommon decision to simultaneously release DLC for two different games, both of which fall under its Sword of the Stars franchise: The Pit and Ground Pounders. The release is part of a sort of celebratory “Tark Week”, a reference to the Tarka, a reptilian race in the Sword of the Stars universe. Both of these DLC feature two Tarka characters for players to take on. The DLC for The Pit, titled Juggernaut, is selling for $1.99 and introduces a predictably named Tarka mercenary, Tor. Included with Tor is a host of new weapon variants, items, monsters, and over 50 new craft recipes, which also contain ammo conversion recipes. This allows vast quantities of unwanted ammo to be converted to scarcer but more essential ammo. After all the other characters we tossed into The Pit, fans were keen to play as a Tarka changed male, one of the largest and most powerful characters in the SotSverse, and our loremaster Arinn Dembo was more than happy to oblige. The DLC pack for the other Sword game, Ground Pounders, is titled Tarkan Campaign. It adds a new third faction to the game, namely the Tarkan Imperial Army, as well as a 19-battle campaign. New land, air and sea units join the fray, and new battle cards are included in the pack. The DLC also updates the game’s codex (or SotSdex in this case) with detailed information on the Tarkan Imperial Army and their various units and personalities. The pack is selling for $3.99. Sword of the Stars: The Pit and Ground Pounders were released on February 2013 and July 2014, respectively. Although both take place in the Sword of the Stars universe, they are both entirely different games. 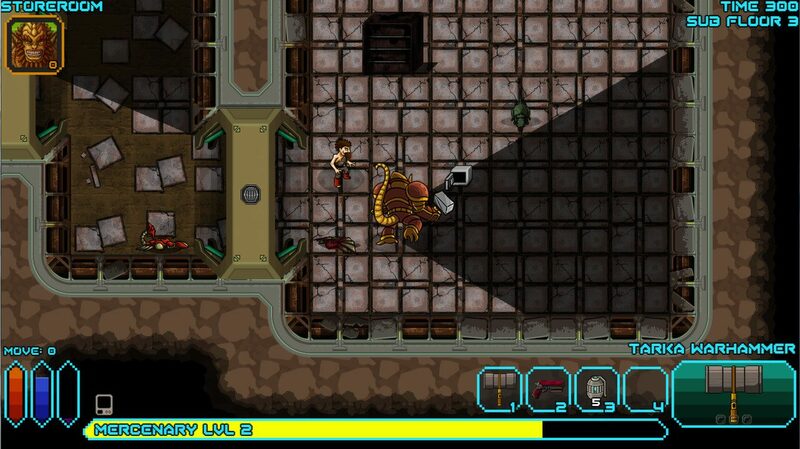 The Pit is a roguelike turn-based RPG, while the latter is a hex-based turn-based strategy wargame. Naturally, being the more accessible of the two, The Pit is better regarded and has a larger audience.